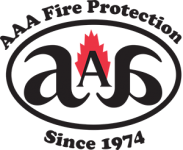 AAA Fire Protection Services is an industry expert for fire protection and fire suppression service in Fremont and across the East Bay. We bring 40 plus years of experience helping businesses just like yours meet the compliance requirements of federal and state fire protection protocols. We make it easy and affordable to add fire protection equipment and create a safer working environment for your business and employees. AAA Fire Protection Services installs, maintains, and monitors Ansul fire systems. We also provide emergency light installation. We work within every industry found in the San Francisco Bay Area. We work with businesses of all sizes. Our 40 years of helping businesses just like yours, enables us to do so easily and affordably. We understand how to handle specialized regulations for industries. For example, we are experts at the installation and maintenance of paint booth fire systems as required for automotive companies by governmental agencies. Our emergency light service is a comprehensive program. It involves emergency light testing on a regular basis and emergency light repair each time we find a problem. We collect data and documentation that enable your company to show government agencies like OSHA that you are 100 percent in compliance.